Health professionals know that patient is vital for recovery. So when you require healthcare, we make sure it’s delivered with as little discomfort as possible. Regal Home Health provides the very best of healthcare at home, with a clinical team made up of Healthcare professionals, and a customer service team made up of experienced clinicians who ensure seamless coordination of all services. 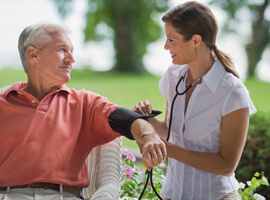 Regal Home Health offers a range of Healthcare Coordination Services that ensure the best of care in maximum comfort. We coordinate all the various aspects of care required, using our well-established and industry-renowned networks of healthcare providers.